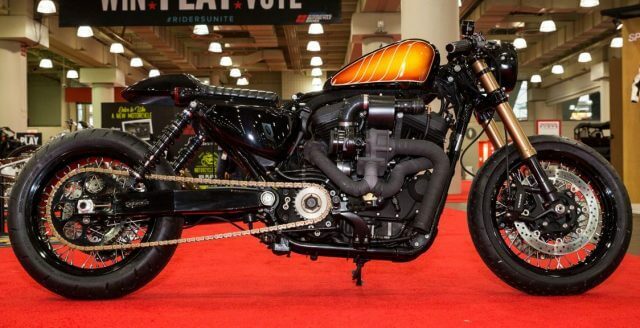 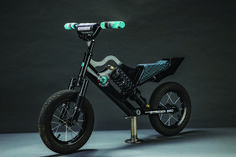 The Cowboy flew into town with his honey because Chris Callen, editor of Cycle Source Magazine and producer of Grease + Gears, snatched up his latest custom and brought it to NYC as he made his cross country trek from the Long Beach show to the New York show. 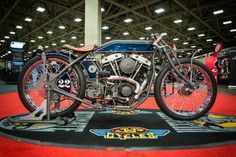 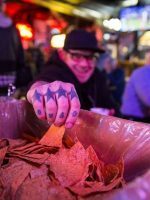 Once his name was called Kyle Shorey threw his Cowboy hat onstage and then cleared the 3 foot stage jump, And the cowboy was smiling as he threw his hat onstage and took the win for the Ultimate Builder Custom Bike Show. 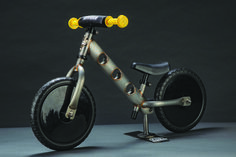 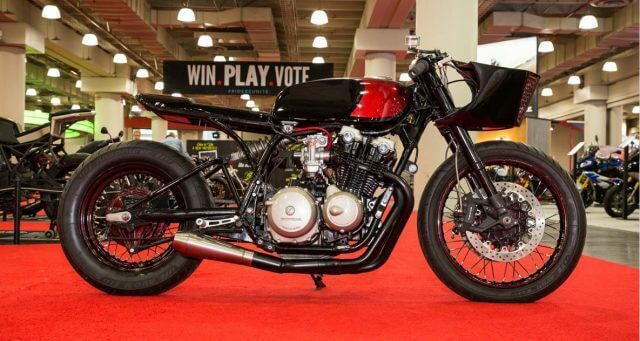 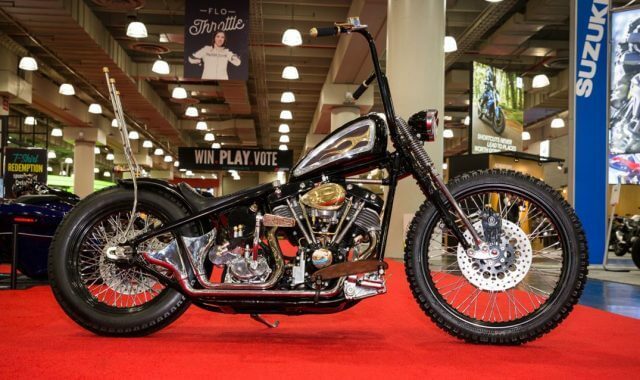 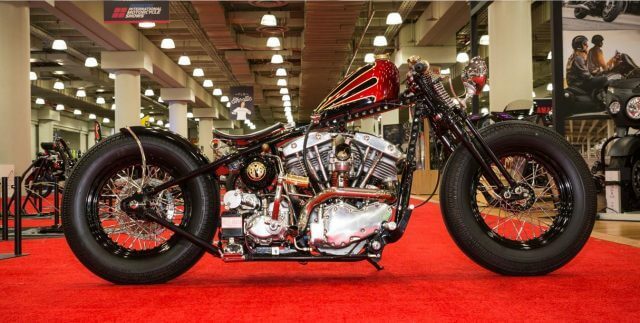 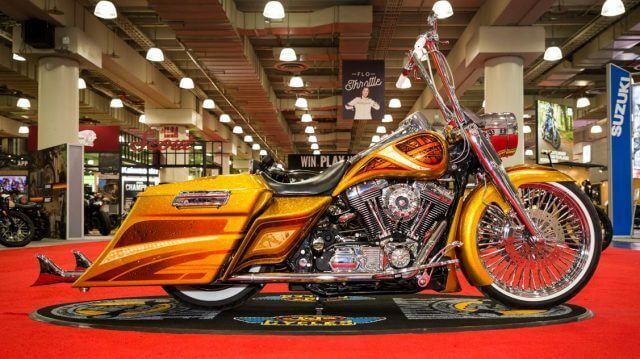 Scott (Scottie) Porges brought in two customs for the NYC edition of the J&P Cycles Ultimate Builder and came away with a 1st and a 2nd and the Cycle Source Magazine’s Editor Choice Award. 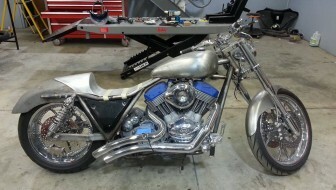 His Panhead custom will be featured in an upcoming edition of the Magazine. Boston Brawler took the win with huge in-class competition. 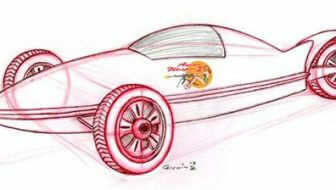 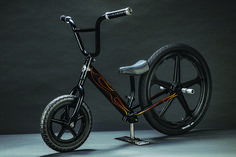 It features a handmade frame and significant factory parts modified and/or redesigned. 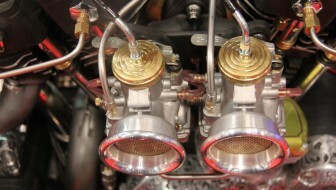 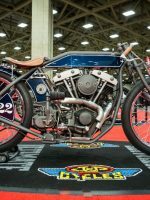 Scott wins a $500 K&N Filters gift certificate for his effort. 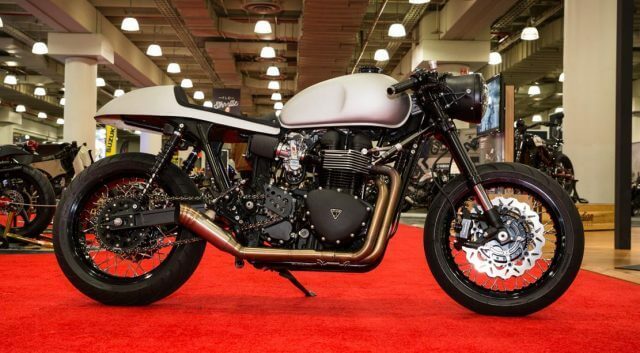 Brain Ballard’s 07 Thruxton was built by AJCyclesNY.com. 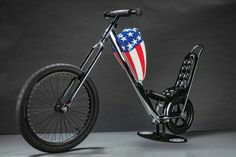 It features a GSXR Fork swap, Motogadget, custom paint, wide wheel kit and shaved frame. 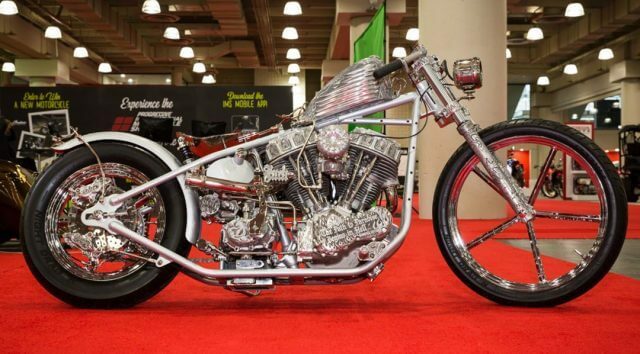 A beautiful bike that made an impact on the red carpet. 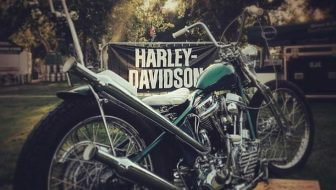 Everyone loves the Mod Harley class because of the range of the bikes that are seen in the show. 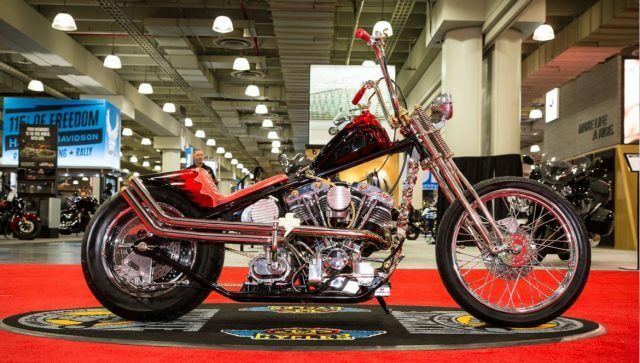 In this class the winner was a Chopper/Bagger and the runner up was a stretched out Harley Sportster with Turbo. 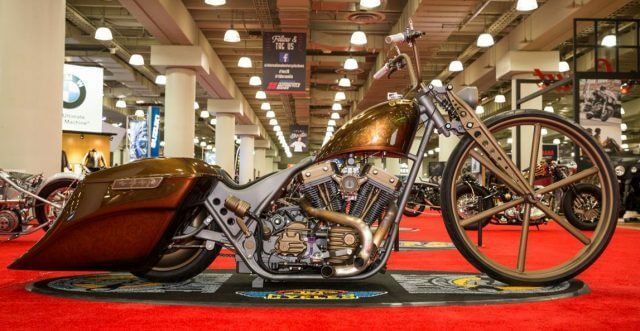 Tyler Foster of Sikpipes took the win with his Chopper/Bagger featuring a Voodoo girder frontend, RKD Speed front wheel, seat done by Vos Seats, grips and pegs by Brass Balls Cycles, gas cap by Ken’s Factory and paint by Execution Style. 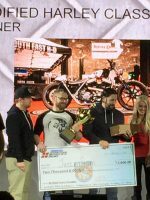 Tyler wins a $500 K&N Filters gift certificate for his effort. 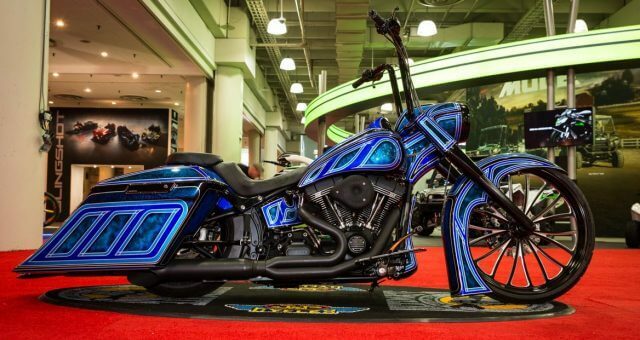 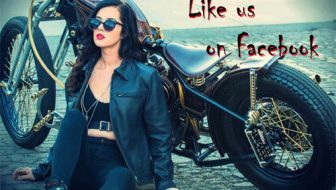 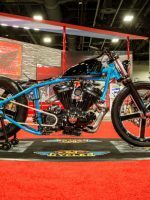 The J&P Cycles Ultimate Builder Custom Bike Show is the world’s largest motorcycle builder competition, featuring more than 350 motorcycles and $100,000 in cash and prizes across the IMS Tour. 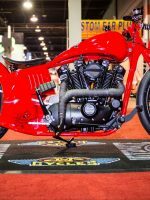 Professional and amateur builders compete at their local IMS for cash, prizes, recognition and a chance to move-on to the Championship Round in Chicago – where $70,000 in cash and prizes is up for grabs! 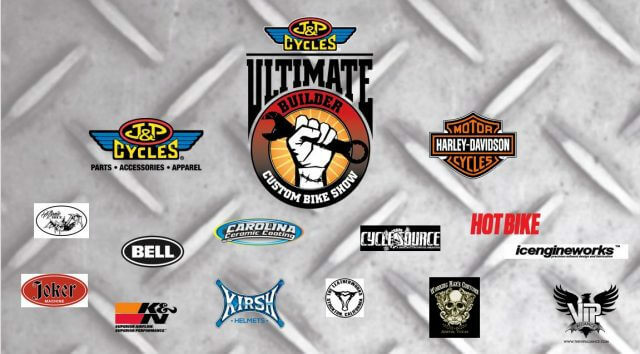 Championship participants receive a product prize package determined by Sponsor, in its sole discretion for a total purse of $70,000 + the value of Sponsor Award prizes. 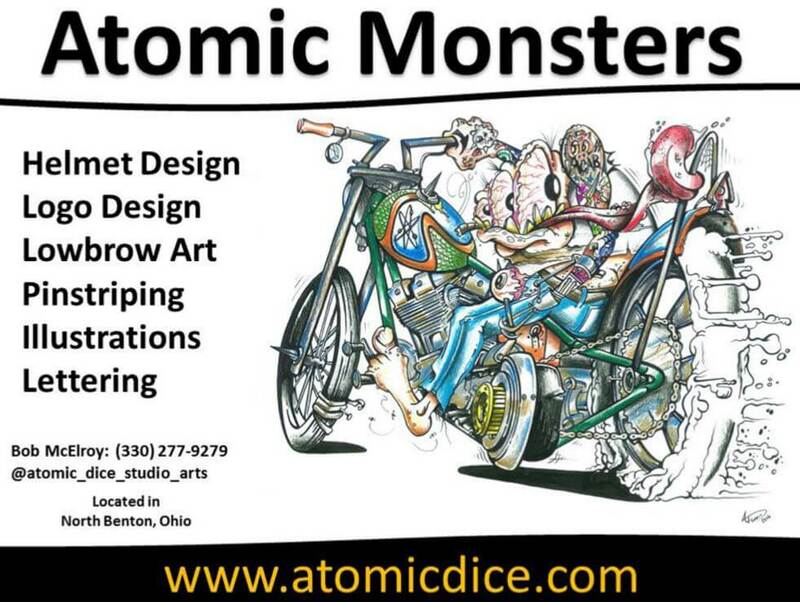 Currently at $50,000 in awards – Only $20,000 to go!